Turner caught two of three passes for 20 yards in six games during the 2018 season. Analysis: Turner registered just 7.2 offensive snaps per game this season. He's still young as he'll turn 23 years old by the start of next season, so the Seahawks are hoping he'll develop into a more-established asset. Turner will become a restricted free agent in March. The Seahawks promoted Turner to the 53-man roster on Tuesday, Brady Henderson of ESPN.com reports. Analysis: Seattle cut Turner ahead of Week 16's game and he landed on the team's practice squad. 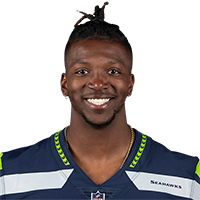 With safety Delano Hill (hip) going to injured reserve, Turner was brought up for depth at wide receiver with Doug Baldwin fighting a nagging knee injury. Turner has been active in six games this year and commanded just three targets. Turner cleared waivers and re-signed Tuesday with the Seahawks' practice squad, Andy Patton of USA Today reports. Analysis: Turner was cut last week after Seattle was in need of depth along the offensive line. 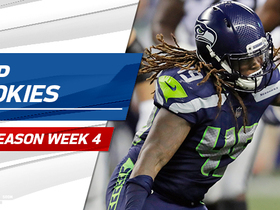 The Illinois product previously suited up in six games for Seattle, snagging two passes for 20 yards. Turner was waived by the Seahawks on Saturday, Curtis Crabtree of Sports Radio 950 KJR Seattle reports. Analysis: Turner signed with the Seahawks at the end of October and caught two passes for 20 yards in his six games with the team. The 22-year-old will become a free agent if he clears waivers, and is a candidate for the practice squad should he go unclaimed. Turner snagged one of two targets for 19 yards in Sunday's win over the Panthers. Analysis: Turner's barely used in Seattle's offense, but he gained a first down on his first career catch. Both of Turner's targets came on back-to-back plays, although he failed to haul in the second one. The Seahawks promoted Turner from the practice squad Wednesday, Curtis Crabtree of Sports Radio 950 KJR Seattle reports. Analysis: Turner's move to the 53-man roster comes after the team released veteran wideout Brandon Marshall in a corresponding move. The undrafted rookie out of Illinois probably won't have a regular role on offense for Seattle right away but could eventually make use of his 6-foot-2, 203 pound size to challenge Jaron Brown for the No. 4 spot on the receiver depth chart.